Eliminating the effects of a pipe burst or flooding event takes expertise, skill and dedication, all of which 911 Restoration Denver owner and his water damage Westminster team have in abundance. Taking on the challenges that a flooding situation causes means being prepared and quick to act. 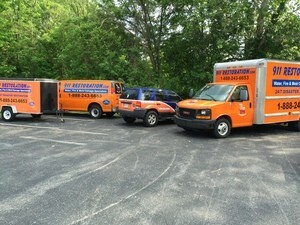 This is why our water damage Westminster team can make sure to arrive within 45 minutes of a distressed call for help. Not only do our water damage Westminster experts have the ability to be at the scene of the challenge fast, but they also have all of the latest drying technology and advanced suction apparatus to do the job right. If your business or home is already experiencing a pipe burst or flooding of any other kind, then contact the water damage Westminster team with 911 Restoration Denver today! Our water damage Westminster team know all there is to about everything liquid related in this industry, and how to fix all of the challenges that these situations can cause too, but they are also specialists when it comes to preventing such instances in the first place too. Make sure to direct the outpour of your downspouts away from the foundation of your home so that if heavy rain occurs that it won’t cause liquefaction in your foundation. Have a plumbing expert or restoration specialist come and inspect your system for any wear and tear that may result in a larger water damage challenge down the road. Check the trees on your property for any limbs that may be dead and overhanging your roof or home. These can crack and fall in high wind or heavy rain and then puncture your roof which can then cause huge amounts of water damage. Inspect your roof line for any shingles that are missing or ajar so that they can be replaced or fixed respectively before the heavy rains come. Take a look at your pipes from time to time to see if you spot any sections that are dripping or that have rust and corrosion about them, as these may be the next failure point which causes water damage to take place. 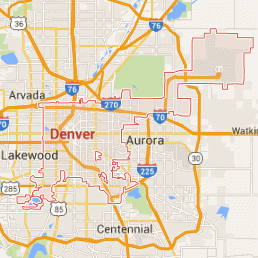 If your home has recently been through a water damage event and you’d like to have the most qualified and trustworthy professionals repair it for you, then contact our water damage Westminster team with 911 Restoration Denver today! Our water damage Westminster team get lots of calls for projects where a pipe has burst or a flood has erupted from the appliances in the home, but another major cause for need of their restoration services is the extremities of the weather. The snow inside the attic melted and eventually caused a ceiling leak to occur which then turned into a stream down the walls. 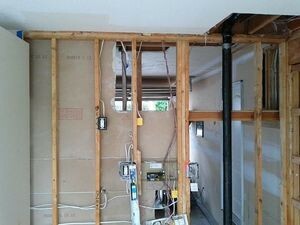 After removing the branch and sealing up the home from the elements, our water damage Westminster team then began the water extraction process from the ceiling and walls, as well as eliminating drywall that had been soaked through. If your home has had a tree branch impale your roof, or if you have another source of water intrusion in your home or business, then contact our water damage Westminster experts with 911 Restoration Denver today for help!